Before the 1990s, string theorists believed there were five distinct superstring theories: open type I, closed type I, closed type IIA, closed type IIB, and the two flavors of heterotic string theory (SO(32) and E8×E8). The thinking was that out of these five candidate theories, only one was the actual correct theory of everything, and that theory was the one whose low energy limit, with ten spacetime dimensions compactified down to four, matched the physics observed in our world today. It is now believed that this picture was incorrect and that the five superstring theories are connected to one another as if they are each a special case of some more fundamental theory (thought to be M-theory). These theories are related by transformations that are called dualities. If two theories are related by a duality transformation, it means that the first theory can be transformed in some way so that it ends up looking just like the second theory. The two theories are then said to be dual to one another under that kind of transformation. Put differently, the two theories are mathematically different descriptions of the same phenomena. I read his essays in 2002 and 2003. I regard him as one of my 6 most important teachers. 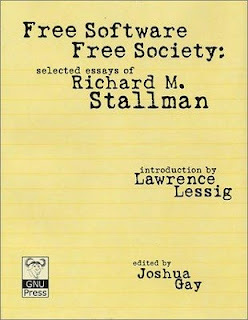 The pdf file of this book is available on the Free Software Foundation’s website. Windows 3.x was superseded by the release of Windows 95 in August 1995. Windows 3.1 found a niche market as an embedded operating system after becoming obsolete in the PC world. Up until November 2008, both Virgin Atlantic and Qantas employed it for some of the onboard entertainment systems on long-distance jets. It also sees continued use as an embedded OS in retail cash tills. On 9 July 2008, it was announced that Windows for Workgroups 3.11 for the embedded devices channel would no longer be made available for OEM distribution as of 1 November 2008. Windows API itself is a virtual machine. Windows API abstracts the hardware away from the application programs. With Windows API, a programmer does not need to care exactly which hardware the computer is based on. “Mutual Transformer” is one of the methods of “Transcender”. 1. An adjective is autological if and only if it describes itself. For example “short” is autological, since the word “short” is short. “English,” “unhyphenated” and “pentasyllabic” are also autological. * if we say that “autological” is not autological, and then ask if it applies to itself, then no, it does not, and thus is not autological. This is the opposite of the situation for heterological: while “heterological” logically cannot be autological or heterological, “autological” can be either. A if and only if not A, a contradiction. A single mom who’s working two jobs, and still finds time to take her son to soccer practice, that’s a miracle. A teenager who says “no” to drugs and “yes” to an education, that’s a miracle. People want me to do everything for them. What they don’t realize is they have the power. You want to see a miracle, son? Be the miracle. * If you ask a mathematician, a mineralogist, a historian, or any other man of learning, what definite body of truths has been ascertained by his science, his answer will last as long as you are willing to listen. But if you put the same question to a philosopher, he will, if he is candid, have to confess that his study has not achieved positive results such as have been achieved by other sciences. It is true that this is partly accounted for by the fact that, as soon as definite knowledge concerning any subject becomes possible, this subject ceases to be called philosophy, and becomes a separate science.